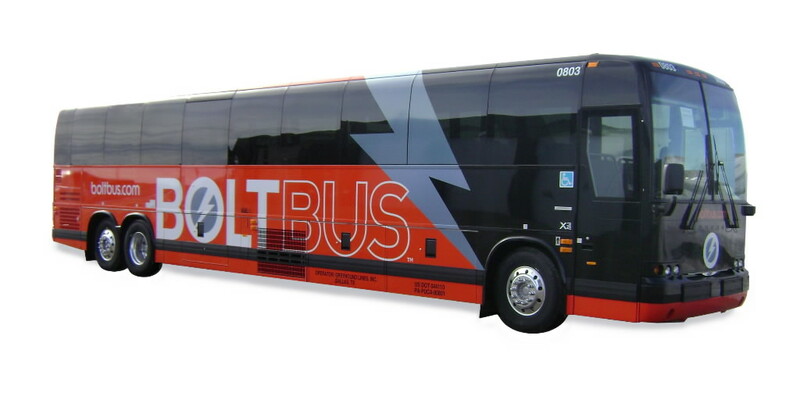 BoltBus Provides A Branding Ticket To Ride – StratGo Marketing. Plug-in marketing department services. Not knowing who this company was or why it was so hot, I had to investigate. First, some background. In March 2008, BoltBus was launched in the Northeast United States, and currently operates roundtrip service to New York City or Washington, D.C. via four markets: New York City, Boston, Philadelphia (including Cherry Hill, NJ) and Washington, D.C. (including Greenbelt, MD). BoltBus, headquartered in Secaucus, N.J., is a division of Greyhound Lines, Inc., operated in affiliation with Peter Pan Bus Lines. Apparently, Greyhound’s objective was to target urban professionals, college students and commuters traveling on the popular Northeast corridor, and to penetrate a segment of the market known as “Chinatown buses” (provide curbside service from one city’s Chinatown district to another). There’s a frequent traveler, loyalty program. Greyhound used California ad agency Butler Shine Stern & Partners to help create the new BoltBus brand. For the marketing launch, BoltBus worked with key, urban bloggers and utilized media relations outreach to create awareness and demand. Brand extension is over-used. Don’t be afraid to create a new brand if your new product or service has a different target and positioning. Yes, it’s more expensive to launch a new brand than to piggy-back on the current brand, but the idea is to be successful and win in the market, not to save money. Remember to make sure you fully evaluate branding options when you start your next new product development project. You really should bring back the yearly bus fare anywhere destination U.A.S. For one annual rate I used that on greyhound years ago and really loved the secure freedom to travel the country. Roger, thanks for reading my marketing blog. Please contact Bolt Bus with your suggestion.